Create codes and assign them to employees/managers. When they go to punch in, they have to select from one of them. 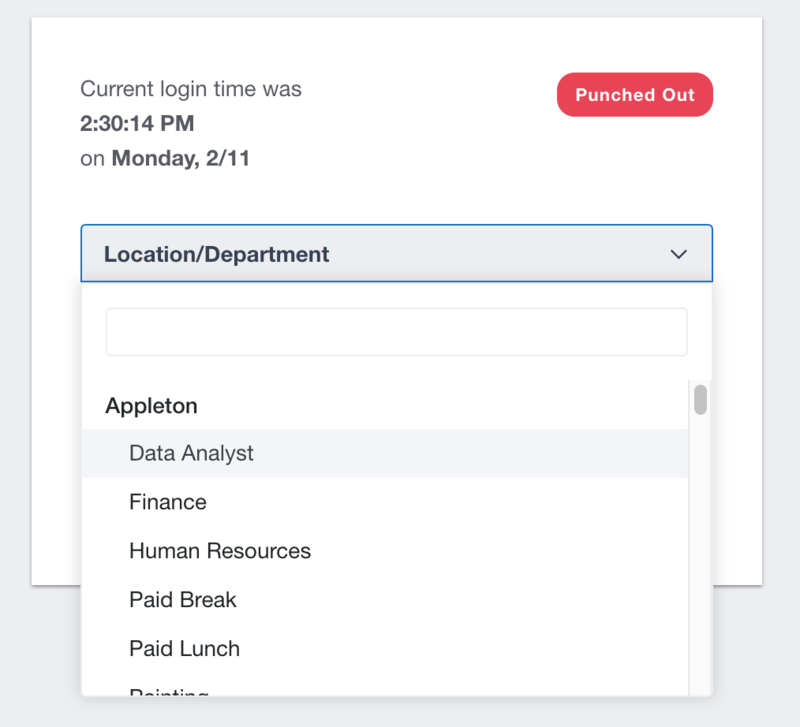 You can create unlimited job codes (we call them Department Codes) in the system and then assign job codes to certain employees. On an employee's time card you will see which jobs they are punching in and out of as well as their total time. Department Codes can be active or inactive and can be renamed at anytime. They cannot be deleted. Below is a screen shot of the job code creation screen. We use the term "department codes" in Buddy Punch, but it is just a label. After you create a department code you then go to the employee's profile to 'assign' that code to the employee. This way your employees can only use the codes you want them to.